ATG: Despite having worked closely with the scholarly community for over 60 years, a number of our readers may not be familiar with USACO. Can you tell us a little bit about your company and what services it offers? Where did the name USACO come from? TY: USACO Corporation has its origin as Yamakawa & Company and started their business in 1934 when I was born. So, I am now eighty. My late dad started his business representing McGraw-Hill. This business was suspended due to World War II and we came back to our business in 1950. At that time, the book import business was hard to start due to a shortage of dollars at the government level. So, my dad started a commodity export business first with his old American friend who gave this company the name of U.S. Asiatic Company. Later, when I succeeded my dad as president & CEO in 1983, we changed the corporate name to USACO Corporation. Soon in 1955, we were back to overseas subscriptions and book import business mainly handling STM books and journals to the corporate and research markets. ATG: We notice on your website that you have become an agent for a number of US companies. What exactly does that involve? TY: We provide them with our marketing knowledge and activities in this complex and ever changing internet age. ATG: What prior experience did you have before joining USACO and when did you start working at USACO? TY: Until the 1970s, it was thought natural that family owned business should be succeeded by the eldest son of the family. So, I joined USACO soon after I graduated from my university. Since then, I have been accumulating business and professional knowledge and experiences and of course, communication skill in English, the most important part of business activities. ATG: We know that you have expanded your original business from supplying print journals and books to offering databases, online digital content and more. How did USACO make such a fundamental change? Was there a guiding vision or were you primarily adjusting to market forces? TY: Our big change came when I met Dr. Eugene Garfield at his office at 320, Chestnut Street, Philadelphia in 1968. 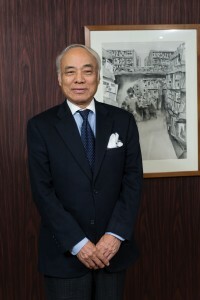 Dr. Garfield wanted expansion of his business in the Japan market. His profound knowledge of the information services needed by American research communities had made a great success of ISI with products like Current Contents and Science Citation Index. I am so grateful to Dr. Garfield for encouraging USACO to shift gears from the book and subscription service business to the information service business. So, we were the first company in Japan to help librarians and researchers with the kind of international information service they needed. Ever since, many U.S. and European publishers have come to us for joint marketing programs to Japanese customers. Until then, subscription agent businesses were only required for their billing and collection of payments from customers on behalf of libraries. So, it was USACO who first started marketing service activities for publishers who needed expansion of their market. In the meantime, media contents have been changing, e.g., taped database to dedicated online, CD-ROM, and internet based contents distribution. ATG: Speaking of adjusting to changing market forces, are there any new business expansions in USACO’s immediate future? TY: That is a most difficult question to answer. But in line with the subscription agents we represent, we have switched our subscription service type business to the software business to help librarians and researchers in the publishing chain. For example, the link resolver business of Ex Libris Israel and the EndNote are typical products we have successfully entered into the Japan research and library communities. Our corporate slogan “Progressive Change is our way of life” represents our basic philosophy. However, it is extremely difficult to find new information service and software products because of the digital age. Digital products appear and disappear very quickly. Therefore it is extremely difficult to invest long term money and time for digital product services these days. ATG: In an interview with Information Today in 2009 you said that most of USACO’s income came from the sales of society publications and servicing the users of aggregators’ information. Would you make that same claim today? If not, how have things changed? TY: Yes, medium and small sized professional societies need our help. Venture publishers also need help from us. However, they do not seem to understand long term investments. ATG: Like you say, many of these types of entities seem to lack a long term view. What is it about long term investment that they do not understand? Is USACO trying to help them develop an awareness of the long term? TY: This is another good question indeed. I can explain many factors why a long term investment is needed. Following are my answers. When new products or information services emerge and they are put into the U.S. market, publishers conduct test marketing in U.S., England and sometimes in Scandinavian countries. Then these products are brought into the Japan market because our market is still big and furthermore very stable. If their products are judged and found needed by our user communities mostly through libraries, it takes a minimum 3 years before those products and services are widely used in the Japan market. Why 3 years is your next questions. Following are my answers. Japanese budgetary system is essentially single year based. Most of the fiscal year term is April through March. To raise the budget except when the fiscal year surplus budget is spent between January and March of the year, budget applications and the approval takes a fairly long time. One of the reasons is that Japanese librarians essentially do not want dramatic change of their budget spending. They are slow but more steady. They do not accept the scrap and build concept. Meanwhile, the library budgets of most academic and medical libraries are not substantially reduced. Many U.S. publishers with new products and services want to enter into Japan market and sell their products soon and they discover it is extremely difficult to open their accounts with libraries in the Japan market. Librarians prefer buying any new products through existing account holders with whom libraries maintain long term business with their account holders. Of course, language problem is another issue. It is evident that Japanese consumers are very brand conscious. To sell new products of new publisher who want to enter into the Japan market, it is important for those publishers that their corporate and brand image should be well known to libraries and research communities first. In conclusion, taking into account the above mentioned factors, my answer and suggestion is that publishers should find good Japanese partners to get their business started. First, their partners should maintain and cover nationwide accounts with libraries, and second, publishers should judge if their agents are needed by publishers whether mainly for their billing and invoicing functions or marketing and promotion activities or both. Of course, smooth communications among publishers, vendors and librarians are most important to be successful in Japan market. My conclusion for publishers is to find reliable partners to successfully enter into the Japan market for a long term relationship. ATG: Can you tell us about your pricing philosophy? What are your specific pricing models? TY: The Japan subscription service market is extremely competitive. Even before the Swets failure, EBSCO and S. Karger (Switzerland) withdrew from the Japan market because public bids are enforced in the government and national universities market. So, there is no pricing philosophy in this largest market. However, in the case where we officially represent publishers for their product, we can set our prices and our yen price is higher against U.S. domestic prices. The margin goes to our marketing activities with the publishers. ATG: Do Japanese libraries still ask you to provide print journals and books or has the market totally shifted to digital? TY: Yes, particularly libraries collecting titles in the arts and social sciences. In the STM library market most libraries have shifted to digital. But we are told by many publishers the need for print is still very high in the Japan market. ATG: What is the biggest challenge in acting as an intermediary between foreign content suppliers and Japan’s academic and corporate libraries? What adjustments do you have to make when navigating in different market environments like those in Europe and the United States? What about adjusting to the various cultural differences? TY: This is a good question indeed. Analyzing the reason why EBSCO and Karger gave up their market in Japan provides some answers. Most libraries open their account with vendors not only for their subscription service, but also books, software packages, and other library supply services. Therefore, they function like a department store of library supplies. Also, as a cultural and trade practices differ, it is very difficult for new library vendors to open an account with big customers. This is particularly true with corporate and government libraries. Therefore, I keep saying that those publishers who wish to enter the Japan market must find and choose their qualified agents to open accounts and expand their market. ATG: The industry was shaken by the recent failure of Swets. What do you think their failure says about the future of subscription agents and other content vendors? TY: Swets was popular among the private universities library market. Their volume of business was estimated to be around 20 million dollars. EBSCO was even smaller in their Japan business. Therefore the Japan subscription service market is dominated by Kinokuniya bookstore, Maruzen and USACO. The profit margin of ordinary subscription services is even lower than U.S. despite the high operating cost. Also subscription renewals must be negotiated and many of renewals must go to bid every year. ATG: That’s interesting. How did this process of going to bid every year come about? Are there moves to change it at all? TY: Your question really hit the point of how publishers successfully enter into the Japan market. I think there will be no change of public bids policy at government institutions including national and municipal universities. Indeed EBSCO never successfully entered this market. Swets was partly successful in private university library market. Unfortunately they are gone. Publisher’s products and services required by any of those libraries must go to bid regardless of quality of agent’s service activities. However in the case where their products are officially represented by publisher’s partner or agents, their titles are not included or separately listed in their list of bids and orders will normally go to publisher’s agents, although commission is still low to cover their marketing cost. In the case of USACO, we do not want to receive orders at extremely low commission level. For example, in the case of Swets renewals for 2015 after their bankruptcy, we only accepted their renewals if librarians needed USACO to be their good partner instead of asking us for open bids. USACO is not a gigantic supermarket. We sell high quality services at reasonable prices, thus, so far, we have been and will be successful in traditional subscription service business combined with marketing new products to existing libraries and emerging markets. If I may use an analogy, we are like a brand new long range B737 jet instead of a Jumbo Jet. ATG: The majority of your content providers are located in the US and Europe so USACO spends a lot of time traveling to get a sense of the market. 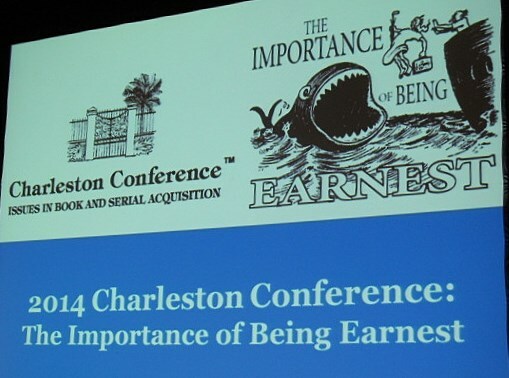 In fact, USACO was represented by Yutaka Masuda and Hiroyuki Kato at the Charleston Conference in November 2014. What were the key takeaways for USACO from this year’s Conference? TY: I sent those delegates to the Charleston Conference and they have discovered market trends, new products and services. However their big finding is the relations among publishers, libraries and vendors. They sit around the same tables to debate and find solutions to benefit each other. Here in Japan, social status of booksellers and subscription agents are ranked lower than status of librarians. We are not equal to express our thoughts and opinions freely to librarians. On the other hand, librarians’ status in Japan is not as high as those of the U.S and Europe. Did you ever have Japanese librarians attend the Charleston meeting? By sending our delegates, the USACO sales force becomes more information rich and our delegates can create networks with U.S. publishers and librarians face to face. In this sense, we can be good library partners in Japan. For Example, most librarians find it difficult to communicate with publishers in English. In many cases, we assist these librarians to achieve smoother communications with publisher when we are asked. It must be noted that in Japan, particularly in the library community, job mobility is very rare among libraries, publishers, and vendors. Thus they live in a very closed society and do not want to understand each other. ATG: Given that you have made over 100 trips to the US since the 1950s what are some of the most significant changes that you have seen in the US market? TY: It is internet and digital technologies. Always the U.S comes first and two or three years later they are accepted in our society. The U.S. leads the information industry. New ideas or concepts, and new technology and services mostly have their origin in the U.S. We need to visit the U.S. and meet information professionals to catch up and judge and determine to find if they are accepted by our customers. ATG: It’s obvious to us that you’ve had a very successful career. What has been the highlight so far? Of all your achievements, which one are you most proud? TY: I was very honored to receive an award from Society for Scholarly Publishing two years ago for my long contribution of international activities to SSP. Also being president of Japan Association of International Publication 2012-2013 was my honor. Also, I must say I am so grateful to those information professionals in U.S. and England. Without their advice and guidance, we never would have been successful in sustaining USACO’s business over 50 years. ATG: What advice would you give to a young person starting their career in scholarly publishing? TY: Another good question to answer. Japanese young people prefer to live in their own closed communities and do not want to get out of Japan and indeed the numbers of Japanese students in U.S. universities are decreasing these days. We need their challenging spirit. So, they need to meet more people outside Japan. I keep telling them. Don’t be shy, and don’t be afraid of dumb questions, because computers will not help you for dumb questions! So, it is my philosophy to speak to young people and take all opportunities to help them in starting their own new network. It is my important job! ATG: Busy executives need a way to get away from the pressures of business occasionally. What activities help you relax and get re-energized? Are there any hobbies or interests that you particularly enjoy? TY: I enjoy a happy life with my wife. We love classical music and often go to concerts and operas. We love the Metropolitan opera and thanks to digital technology, just two weeks after the opera played we enjoy digital live movies in Tokyo. I also like painting, both oil and watercolor. Whenever I travel I keep my small sketch book to draw sceneries to make my memory vivid. Visiting the U.S. and Europe and meeting our good friends make us happy and younger. So this interview is making me refreshed, gives me more energy and makes me feel that I should come to the Charleston meeting in 2015, because I can speak to librarians, vendors and publishers around the same tables not like Japan. ATG: That would be wonderful! It would be great to see you at next year’s Charleston Conference. We will look forward to getting together. ATG "I Wonder" Wednesday: Has your library developed a method of effectively tracking print journal usage?